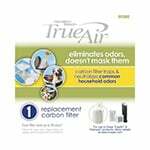 The TrueAir Plug Mount Odor Eliminator with Scent is an odor eliminator that plugs directly into a standard 110-volt outlet. 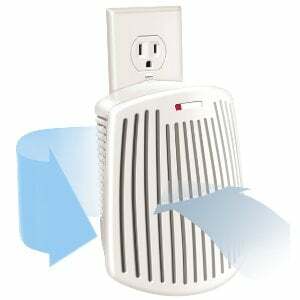 This air odor eliminator features a carbon filter that neutralizes and eliminates unpleasant odors while also freshening the air. 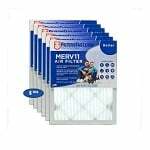 This TrueAir filter, also known as the 04530GM, also features an optional scent cartridge to add a refreshing aroma to your air. This odor removal tool can be used effectively in a variety of settings, including kitchens, bathrooms, pet areas, and for odors like tobacco. 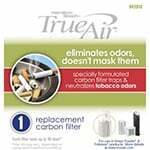 This TrueAir Plug Mount model accepts the TrueAir All Purpose Filter Replacement (04290G) and even features a filter replacement indicator for your convenience.